Labels, Colour & Style Options for this Product: As per image - blueChristmas WrapCream/IvoryGoldGreenGreen & Red TintPinkPink & Purple Tinted WrapPurplePurple Tint (transparent)RedSilver 14 currently available in stock to buy now. Parachute Soldier - he’s a tough little fellow who’s not afraid to jump! 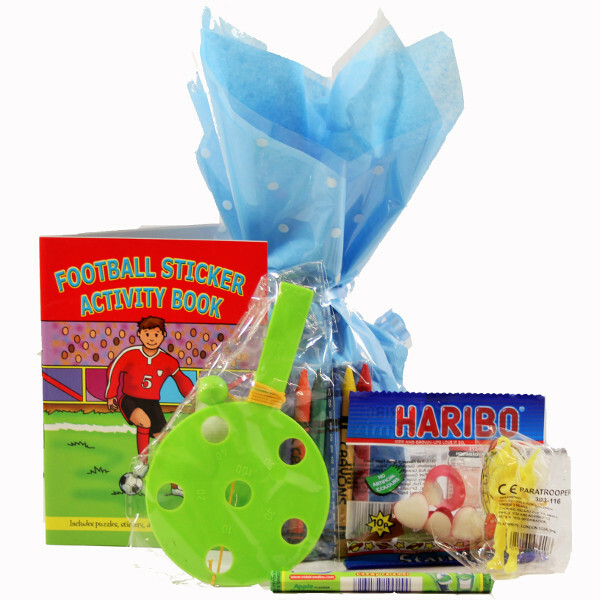 Pocket Football Sticker Activity Book - a great little activity book with 32 pages of football fun! 6 fab crayons in 6 different colours to keep them busy and quiet! A fun bat and ball game with scoring circles and the ball is attached by a handy strings to avoid any tearful losses! Not suitable for children aged under 3. 14 currently available in stock to buy now.